We thought we’d take a moment to tell you how important it is to change your welcome messages on your voicemail and answering machines if your pet goes missing. Even though this is a task that many owners of lost dogs overlook, the importance of changing your messages to reflect your dog’s status as “missing” cannot be overstated. Because most people cannot always answer their phone, it is important for you to realize that your recorded greeting is what will make a first impression on someone who is trying to share information about your lost pet when you are not available to take a call. If your message does not indicate that your dog is lost and you are trying to recover your pet, but are simply unable to answer the phone at that exact moment, the caller may decide you don’t really want your dog back. Or the person may think you don’t deserve to get your dog back since you didn’t have a moment to pick up the phone. Look at it this way. If one of your family members was missing, any caller could be trying to contact you to share information necessary for your loved one to make it back home. And since many of us view our pets as children, the circumstances are very similar, meaning every caller could provide information that helps you get your dog back. 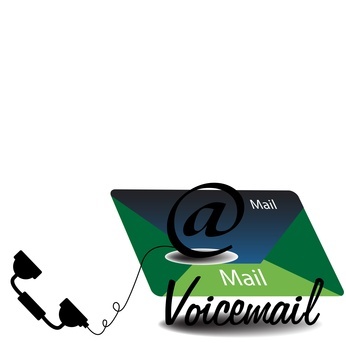 So it is imperative that you change your voicemail and answering machine greetings to messages that will encourage, not dissuade people to leave messages for you. Simply changing your messages can be the difference between someone choosing to leave a helpful message for you or not. It could mean the difference between your dog being returned to you or not, in other words. This entry was posted in Friendly Lost Dog Strategies, Shy Lost Dog Strategies, Useful Tools. Bookmark the permalink.